A view from above at TEFAF New York. The European Fine Art Fair in Maastricht, Netherlands, is the world’s top annual destination for buying masterworks of previous centuries, from Roman-era busts to Old Masters to Pre-Raphaelites and so, so much more. 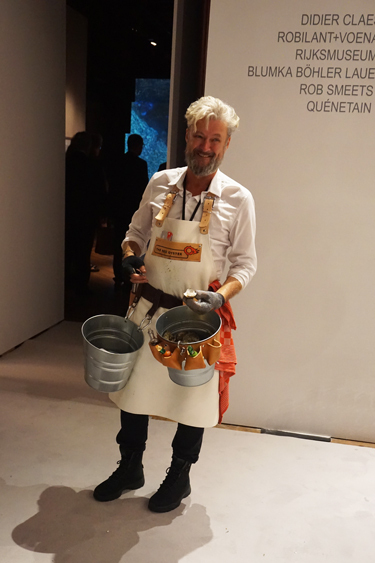 And so when TEFAF took its party from the Dutch lowlands to the Park Avenue Armory for its first-ever New York edition, they did not mess around. At the VIP preview this afternoon, the historic Upper East Side hall was stuffed to the gills with collectors, museum directors, and curators. Look, bearded men walking around shucking oysters from buckets! Opulent canapés of all types! Flute after flute of Champagne! And then the crowd: dressed to the nines and decidedly well-heeled, with fragments of a dozen tongues intermingling above the aisles. This, the Dutch seemed to be saying, this is how you do an art fair. 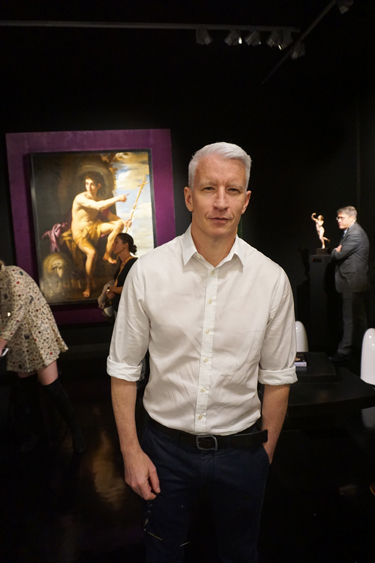 Anderson Cooper at TEFAF New York. Elsewhere, Bernard Goldberg Fine Arts had sold a number of works in the opening minutes, including Edward Hopper’s Portrait of Guy Pene du Bois (1904) for $1.5 million. Like many of the works here at TEFAF, the provenance is key: Hopper had given the portrait to du Bois as a gift, and it stayed in the family until 2000. Bernard Goldberg’s gallery manager, Ken Sims, said that the business been bowled over by the early buying, and the quality in general of this mini-Maastricht in the middle of Manhattan. View of the booth of Richard L. Feigen & Co., New York. 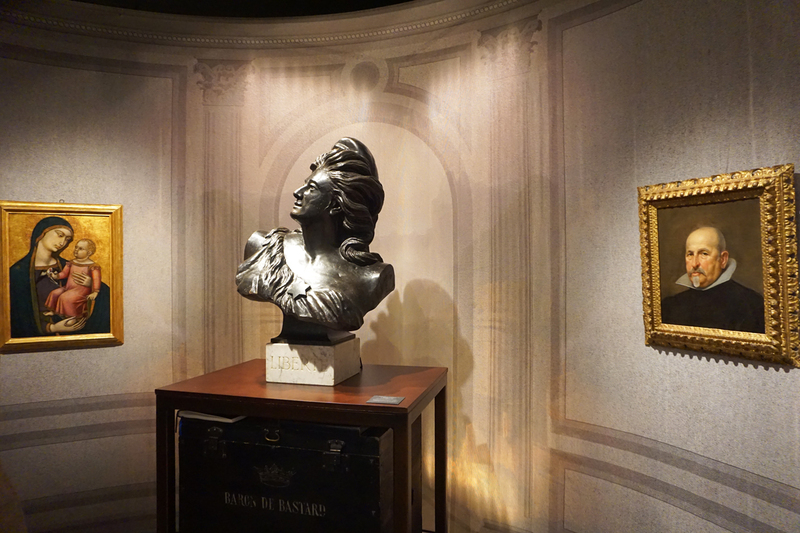 At the Richard L. Feigen & Co. booth, which was set off in a stately cupola crafted by master Chilean interior designer Juan Pablo Molyneux, a massive bust by Gustave Courbet had been attracting a large amount of interest, though had not sold yet. Feigen president Frances Beatty noted that by importing such a glam and classed-up affair to New York, they’ve established what could be a permanent stop on the fair-tour circuit—even luring the Europeans who one would think might be content with the original version back in the Netherlands. As she was explaining how she was blown away by the number of collectors who had made the trek from other countries, up walked Paul Lang, the deputy director and chief curator of the National Gallery of Canada in Ontario. He came down just for the fair. Over at the Richard Green booth, which was filled with work by Pissarro, Sisley, and Renoir, the gallerist’s son Jonathan Green explained that they had made a few sales, though because it was so early in the day, he didn’t want to go into detail on them just yet. “I’m on the board of TEFAF, and I’ve been pushing to expand to New York for years,” he said. 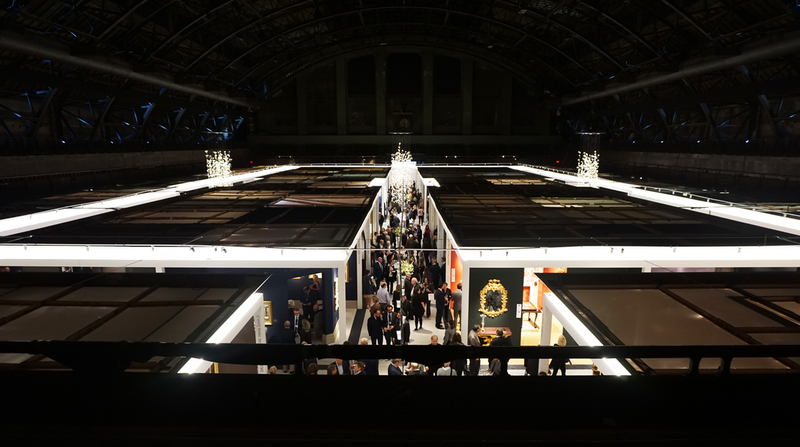 The fair also managed to extend the real estate of the Park Avenue Armory, which plays host to such grand picture bazaars as Spring Masters and the ADAA Art Fair. For TEFAF, they also got to inhabit historic parlor rooms on the second floor, where dealers could house their “booths” in actual hardwood rooms. Up there—once you dodged the lines for multiple Champagne bars and waiters zipping by with trays of hors d’oeuvres—antiques maven Axel Vervoordt could be found hawking Egyptian artifacts from the Ptolemaic period in one of the historic rooms, a room that already had a bunch of antiques permanently installed (albeit from the Civil War, not from 332 B.C.) And Paris’s Galerie Chenel had on offer Roman busts from the reign of Hadrian (about 117–138 A.D.) in the range of €30,000 (about $32,700) a pop. It also had a life-sized marble sculpture, Herakles Wearing the Nemean Lion’s Skin, that had been hidden away in storage for most of the last century. Exactly what was the provenance of some of these more eccentric items? How exactly was Charles Ede selling items from the tomb of Ancient Egypt’s famed King Tutankhamun for£1,200 ($1,470)? And what to make of the booth for Peter Finer—a gallery that specializes in antique arms and armament? Putting aside the appropriateness of once again bringing guns to a gun shed, it was unclear who in New York would be in the market for, say, an ancient Icelandic sword. A gallery representative insisted that they sell a lot of old daggers in New York, but at this new stateside edition of TEFAF, they had not yet sold anything. If you just really want to spend $95,000 on that the gallery terms “A Massive Two-Hand Bearing Sword of the City of Brunswick” (1570) get on up to the Park Avenue Armory. TEFAF New York Fall runs through Wednesday, October 26.